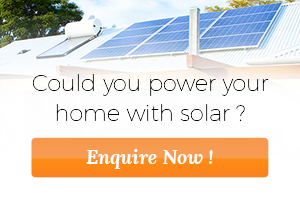 It’s a line you may have heard from friends or family who've invested in a Solar PV System. They’ll likely reference their latest electricity bill, which only showed a measly $20 credit in solar savings they received for the solar energy they exported to the grid. The incorrect assumption that solar power isn’t worth it usually occurs for one of two reasons. Your electricity bill does not show the total amount of energy your solar system generated, nor does it show the total amount of solar energy your household used. Your electricity bill does show the amount of solar energy from your system that your household could not use (that is the “excess” energy your solar system has generated and subsequently exported to the grid), and the amount of energy you used from the grid to supplement what your solar system generated. A feed-in tariff is a great extra, but it should be seen as only that, an extra. It is not necessary in ensuring going solar is financially viable. The real value of solar is in displacing the amount of electricity you have to purchase from the grid. To begin, let’s quickly run through how a solar PV system works. Your system converts light from the sun into electricity, which can be used to power appliances in your home or exported to the grid when it’s not needed. With a solar PV system, you don’t need to worry about switching between your own generated power and power from the grid – this will be done automatically. For a more detailed explanation, click here. Your solar inverter can provide you with information like the amount of electricity (power) being produced at any particular point in time, or how much energy (units) it has generated for the day or in total since installation. Many quality inverters feature wired or wireless connectivity and sophisticated on-line monitoring and reporting, which will be able to tell you the total solar production for a given period. It’s also possible to install additional monitoring which will allow you to view your electricity consumption from the grid (this is normally an optional extra). Let’s go back to our friend who is disappointed with the $20 credit on their latest bill. We can see from their online monitoring system that their 5kW system produced 1,360 units over the billing period (remember this isn’t shown on the bill). The bill shows that 285 units were exported from the solar system which resulted in a credit of $20 (285 x 7c = $20). Multiply this number by their electricity charge, and viola – we have the amount their solar system saved them during their bill period! That’s $305 in hidden savings they aren’t seeing on their electricity bill. Add this to their feed-in tariff ($20), and they’re officially receiving $325 in solar savings! Unfortunately, the majority of homeowners don’t go into this sort of analysis and take their bill at face value. Before you think you’re saving little, or have heard a friend complaining about little to no solar savings, remember, your energy bill is only showing half the story. You may not be receiving a whole lot for the energy you export back to the grid – but that’s not where the real savings of solar lie. To find out how much solar could save you, please call us on 1300 074 669 or request a call back for a free, no obligation assessment with one of our energy consultants.